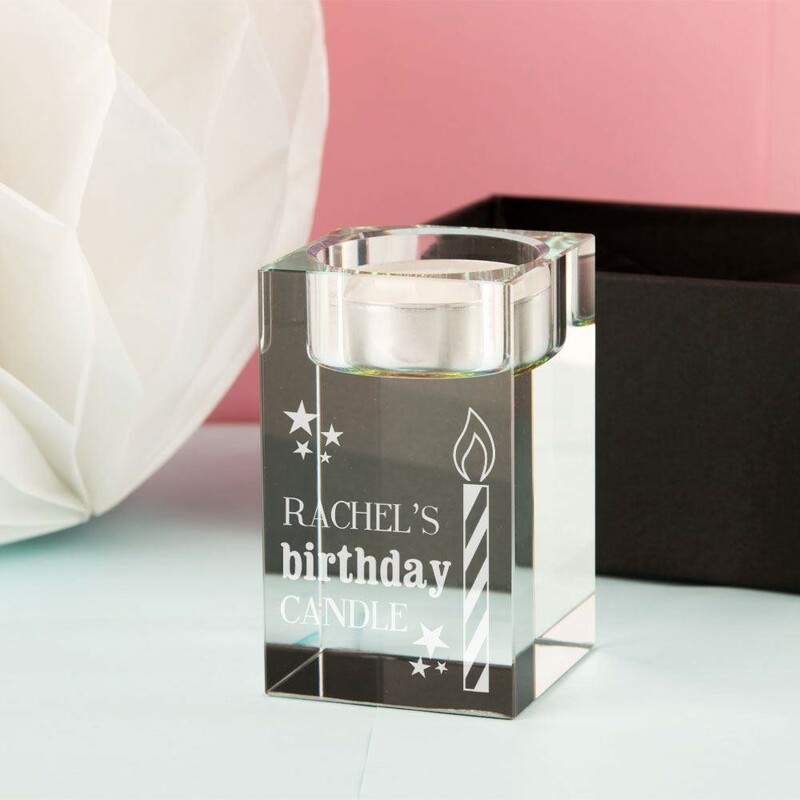 This cute candle holder is engraved in house and features the birthday recipient's name followed by “Birthday Candle” in traditional writing. 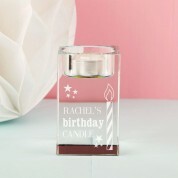 It shows an outline of a lit cake candle and framed with clusters of stars. 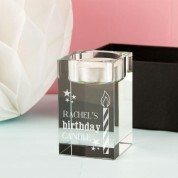 People of any age will love to receive this unusual yet stylish gift on their Birthday. 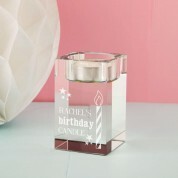 The tea light holder has a rainbow effect to the glass and shimmers when lit. It will brighten up any room – we recommend placing it in the centre of the family table when enjoying a celebratory meal!